"For you are my hope, O Lord GOD; you are my trust from my youth." 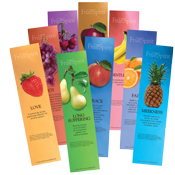 Children and youth cover a wide range of ages so and we have a wide variety of products available to cover that range. You'll find materials for Vacation Bible School, school classroom, church classes, summer day camps, gifts, fund raising projects, crafts and play time plus many more … just use your imagination. Kids, youth and even adults will love these items. 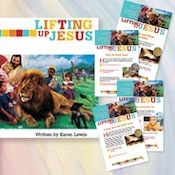 Lifting Up Jesus - for kids!